“The only constant is change.” Few statements are more profound or more accurate. To help New Yorkers tend to personal matters when facing change – from the birth of a child to the declining health of a loved one – the State of New York signed into law the nation’s most comprehensive Paid Family Leave policy to date. Joy Maas, Director of Business Development, Marketing Strategy and Account Management for AmTrust Financial Services, walks businesses owners and insurance agents through the claims-filing process, sharing tips and insight along the way. 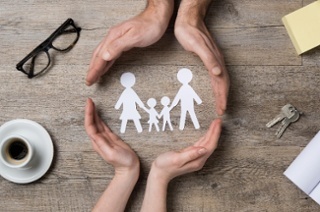 Since the New York Paid Family Leave (PFL) program is new and unprecedented in the country in terms of the amount and scope of benefits, there are bound to be some bumps in the road when it comes to filing PFL claims. To help minimize the frustrations of employees filing claims for PFL, we have provided three simple tips to help make the claims process easier and more efficient. Effective January 1, 2018, New York State requires all in-state employers to comply with the New York State Paid Family Leave Policy (PFL). For that, we’ve created a short New York State Paid Family Leave Client Preparation Checklist for Success. Check it out now, and feel free to share this post with your clients. Paid Family Leave (PFL) is here. You’ve spoken to your insurance agent or broker and added the rider to your mandatory New York State DBL coverage. But are you really ready for PFL? Making sure you take these five steps can help reduce confusion about the new benefit, improve employee satisfaction, and minimize the impact of paid leave on your company’s bottom line.